Mobile operator Three UK has launched a new 3G / 4G supporting Mobile Broadband router and data plan called HomeFi that’s aimed at home users, which is one of the first such packages that we’ve seen to include “unlimited data” and at a cost of just £22 per month on a 24 month contract term. The new Home-Fi package is designed to be used like a home broadband connection, albeit delivered over Three’s mobile network instead of a fixed line connection. 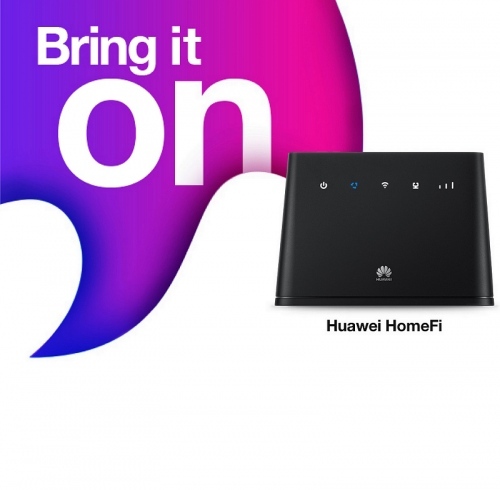 As such the bundle includes a Huawei B311 router, which is able to distribute the mobile data connection out to a maximum of up to 32 connected devices (Phones, Laptops etc.) via WiFi (only supports the 2.4GHz band). Assuming the router that Three has chosen to ship is the same as the unbranded model then it should also include one Ethernet port for LAN/WAN and is capable of delivering a peak theoretical 4G (LTE Cat 4, 2*2 MIMO) speed of 150Mbps download (50Mbps upload); but expect to get a lot less than that in the real-world. As usual customers will also benefit from the operator’s “Go Binge” service (i.e. unlimited video streaming via Netflix etc.). According to the operator this plan does indeed give you “unlimited data“, although their press release has confusingly described the plan as “100GB data plus an unlimited data add-on” (eh?) and if you go through the order process then it comes up as “Plan – 100GB data – 24 month” (no mention of unlimited). Despite this confusion Three’s PR people continue to insist that it will give you unlimited data, which leads us to believe that this plan is a time-limited special offer and as such you’ll get probably “unlimited” data for the first 24 months and after that it may revert to 100GB (if not then we’d expect a lot of advertising complaints to the ASA). In fairness Three’s sibling fixed wireless ISP in London, Relish Wireless, does already offer an unlimited 4G based plan for exactly the same price, although that is a different network setup but Three have made no secret of their desire to launch a similar sort of service nationwide via their future 5G network (here). However we suspect that even this plan is still subject to Three’s TrafficSense management system, which uses a soft cap of “around” 1000GB (1 TeraByte) each month to “identify inappropriate use of the service, such as commercial use, which isn’t permitted under our terms and conditions” (here). Nevertheless that would still be very impressive for a 4G service. I wonder how long will this last speeds are getting slower eachday in major cities. Three’s answer to that seems to be limited deployment of 4G+. But the B311 doesn’t support 4G+. They need to start supplying a router that at least supports dual carrier (300Mbps 4G+) but ideally something that supports Gbit 4G and later in the year 5G. Three’s big issue seems to be backhaul congestion in my experience. 4G+ just looks even more absurd in that context. If backhaul is the issue that is very easy to upgrade. Far far easier than having to wait for the next auction of more spectrum before more capacity can be added. The issue currently is that Three are not using the spectrum they have effectively. If they are to pull this off then we will need to see tens of thousand small cells deployed to areas where there is high demand. These will need to be backhauled with either fibre or high capacity microwave links. This is all possible but will take time and investment. All this means other networks will need to follow suit and that is a good thing! Competition is going to be the driver here and I think Three want to take advantage of the USO pie. Good on them and I hope they can deliver because BT isn’t. In most rural areas BT have had it far too good for too long, charging full price for rubbish service while failing to invest in network upgrades. Anything that breaks this (effective) BT monopoly has got to be good news. Like you I hope other networks offer similar services soon. These mobile home broadband solutions are not new with 4G modems and GSM fixed telephones have been available for a long time. OR provides broadband now at very low rates and their revenues are required to fund the future FTTH. They may still have an SMP currently due to the history of telephony but any provider is welcome to invest, it’s just that many have chosen not to do so in rural. Hardly a monopoly. OR’s monthly charge is quite modest in comparison, it is not their fault this is multiplied two(offers), three or even four times by ISPs for capacity that cannot be utilised at low ADSL speeds. Mobile capacity is finite however hopefully these mobile broadband options will help contain to some extend any ISP excess. I think some people just do not bother to read the article before they start spouting bull sxxt as an excuse to try and make people think they actually know something about nothing because they can get technical with their language, YAWN”. It is being delivered in the same context as your mobile Internet connection is but just through a router prepped to handle 4G and with more stability so other devices can use it. It is not rocket science ffs….. ALSO” As article explains if they do not supply what thru claim it amounts to misselling but I imagine this will not be an issue in the long run and particularly for those who approach Three just for this new particular service. The comments in this section are just absurd. The question is that if you are already a three customer, like I am, then is this the only alternative other than tethering as we all know that regardless of what unlimited plan we have the mobile service is still restricted to an extent regards speed and what can actually be downloaded. Seems to me that this will be an alternative via router to give full access to what can be achieved but just on another contract / payment plan. I tether myself at times and never achieve being able to gain sufficient speed on multiple devices or even one other. For £22 pm though I consider it a bargain as an alternative to standard BB and better speeds can easilly be achieved. If anything It does appear that three have perhaps not thought this through properly but everything is now becoming reliant upon wireless AI so maybe they are getting their foot through the door first. Not to mention that like with standard BB their exists the possibility of being able to use this service on many devices throughout any range? And so it is not just used for the home. You can just take the router with you where ever you wish to go!! Where to start with that one. The issue with a lot of cell towers is that they are not actually fibre fed. Especially 3G ones. It is not unusual to discover that the tower is fed with bonded ADSL or VDSL. It is pretty easy to figure out if you speed test it at a quiet time at night in close range of the tower line of sight. It is probably some form of Ethernet over the copper connection but it is copper none the less. A good few years ago we put a tower base in for a well know telco on a site where we were doing a lot of other works. Put all the bases and ducts in and nothing happened for ages. We got paid. I was quite puzzled as the tower was still not live so called then up and was told no fibre run out yet. No date from OR. Asked if we could do anything to speed things up as apart from anything else better cell coverage would help the guys onsite. A few days later I got another call and was asked if we could do a day rate job and dig another trench and put a duct in it for them – no problem. Went to have a look and the specified trench went to the edge of the land by the nearest PCP. So in the end the project was to put a powered pillar at the edge of our plot of land close to a PCP. For there BT had to install the 4 x new line that was requested and then had to run 4 x VDSL over it. In the pillar was a quad wan router and from the pillar to the tower kit was a length of fibre. It really was the most absurd work around I have ever seen. But it was the only way that they could force BT to provision anything in a fixed timescale phone lines being a USO issue. At that point in time BT did what they please on leased fibre provision. Bear in mind that there was fibre to the DSLAM which was about 10m away and yes I am aware of the need for an Agg Node etc. But really. @Tim – this box doesn’t need to be able to support 4G+ for it to benefit from improved network capacity that 4G+ would bring. Wouldn’t surprise me if the “unlimited data” is in reference to the Go Binge system, which is an addon. So you’d get 100gb of real data + Netflix/Deezer/Apple Music don’t count towards that 100gb. Anyone who has AYCE data has Go Binge as well listed in their account so it could just be a typo. I am starting to think you are right – despite what I put earlier it now seems my allowance IS going down – and the only add on I have is the Go Binge – Im going to run it down and see what happens at 0. got 6 days to do that in. I’ll update – as this is going to be an interesting one. update. 3 days after getting the router I have now had the addon put on the account – it was going down – but now this is what it’s showing. I can see it causing network congestion in cities, however this is a real game changer for deep rural areas stuck on long line ADSL, who for most 20 Mbps is ample and typically 10x faster than they currently get, not having 4G+ doesn’t matter to these customers. Small rural wireless ISP’s are going to find it very hard to compete. Not where people object to masts and therefore no 4G coverage. Yes there are people who don’t want a mobile signal, I’m unfortunately in a small Cotswold town where there is no 3/4G and very poor 2G. The Nimbys have triumphed here. Have you tried with a decent antenna at rooftop level? The difference between proper installed kit and the signal you get on a hand held phone is like night and day. I do need to ask , how reliable is it? In rural Devon, we’ve over 2 years experience of only having 4G, your answer is far more reliable than the long line ADSL it replaced. As ever with any mobile operator, the answer to that question is often entirely location specific as signal strength, supported bands and data capacity vary like the wind. I got this on Saturday to replace the abysmal service I get from BT (openreach refuse to upgrade my tiny road so I’m stuck on a 17Mbps connection with no other options). Unfortunately I can only get up to 10Mbps with Three despite being right next to a mast. I’ll be cancelling it today and probably try with EE who are much faster (my EE phone gets 40Mbps in my flat) but unfortunately they impose a data cap and are a bit more expensive. 17Mbps? That’s luxury! 2Mbps on ADSL via a long rural EO (Exchange-Only) line here in rural Ceredigion (West Wales), is my only fixed line broadband option, with no upgrade to FTTC or FTTP in sight (we’ve been excluded from latest phase of BDUK [Superfast Cymru] upgrades). I now have lost any faith that we’ll ever be upgraded, even by 2035. So, 4G or FWA (Fixed Wireless Access) via a WISP or TV Whitespace or Community Fibre (and all apart from 4G are difficult for a tiny hamlet, need X premises to sign up) are my only options. I’ve had an EE data SIM for well over a year, only 32Gb a month, but it’s given a nice speed boost (15-30Mbps down, 2-20 Mbps up) when needed. However, not enough data, and EE are very expensive for larger data amounts (100Gb+, and no SIM-only options for larger data plans), so I’ve got the Three unlimited SIM-only offer in a Huawei B525 router, & trialling it during 14-day cancellation period. It’s slower in my area than EE (7-22Mbps down, 2-10Mbps up) – but, still a lot faster than my ADSL option, and I’d rather a slightly slower connection but not worry about data (I won’t get near the 1Tb monthly “fair usage” soft-cap, have limited router to max 950Gb though just in case), than have a much faster connection but small data cap that will be used quickly due to faster speeds! I will be experimenting with external 4G antenna once the weather improves, to see if I can boost my speeds. Happy so far though. I do hope other 4G providers come out with similar offers in time. Virgin Mobile recently did a promo 120GB for £20 per month, and they use the EE network. (It’s dropped down to 45GB max now it seems) When I enquired about their policy of data usage, they said that using the SIM in a dongle was OK. Yes I saw that offer, and was thinking of taking it up, until Three started their unlimited SIM offer again (120Gb isn’t really enough). Also, apparently they offered 200Gb per month for £20 on Black Friday. So – in time I *may* also get a Virgin SIM (or even EE) if I spot any good offers for >=100Gb in future, and still keep Three going for the 1Tb of data! I do currently load balance my 2Mbps ADSL with the EE 4G link (via my DrayTek Vigor 2860Vac router), but if I could load balance both a Three + EE (or EE-based MNVO) link & add that into the mix, then perfect! I’d have a good mix of slow but unlimited ADSL, faster 1Tb via Three, and considerably faster but more limited data for a real turbo boost via EE or EE-based MNVO. The only consideration is that Virgin, as an EE MNVO, don’t get the same traffic priorities or speeds as EE (or use of all the EE LTE band frequencies? ), from what I can understand. I’m hoping Three upgrade their network in my area, according to their network coverage checker my postcode can’t get 4G at all (although 3G is ok) – but I can, however only via the Huawei B525 router (not via smartphone or my older TP-Link Archer MR200 4G router), and only on LTE Band 20 (800MHz), so speed is never going to be the best here. I can also use the unlimited minutes on the £20 Three SIM via a phone connected to the RJ11 port on the B525 (although I have to set router’s network mode to “3G/4G Auto” instead of “4G Only” to do this, as it drops from 4G to 3G to make & receive calls, as no official VoLTE support of B525 via Three). But, times are changing and 4G is starting to become a viable alternative for 10Mbps+ broadband out in the sticks. Good luck cancelling. I returned my sim to three 2 days after trying it out and found the reception very poor. 4 months later and three were still taking money from my bank account. I’m still waiting for it all to be sorted out now and tha was promised on the 19th Jan!! Before dumping Three I’d try using antennas first, they can make a substantial difference in ping/speeds etc. I have that 200GB deal – it’s ok. I get decent speed – don’t use it all and roll over a lot every month. Worth grabbing when it comes around again. Thanks, I may look out for that when or if it comes around again. My only concern was that Virgin Mobile doesn’t get access to all the LTE Bands / Frequencies of the parent EE network, so may be quite a bit slower, especially in my area (where EE maxes out at 30Mbps anyway). But – very tempting, to add to ADSL + Three connections! I have already ordered one of these after being assured that it was unlimited (I did a screen shot when they said it was) i live in a rural location and currently get 1.2mbs and paying £47.00 I have a three mobile and have stable 25mbps download speed so it’s a no brainer for me. How is it that Three come out with a great new product, that does something the competition isn’t doing and it’s cheap and the author is still on a downer with them? I think it’s a cracking plan, but as a pro-consumer site it’s also incumbent upon me to highlight the negatives or oddities and not just the positive PR spin. Three’s conflicting use of “100GB” and “unlimited” terminology is something that has caused confusion. I’d expect EE to release a 1TB plan soon and/or price drops for existing plans. Very interesting, I am wonder if you can connect a arial to this modem. Not sure, but nothing to stop you using a 3rd party supplied modem/router with external antenna connectors, just use the Three SIM. Exactly what I have been doing for years, aerial on the house roof. The B311 Router will take an external MiMo Antenna – there are 2 SMA Ports on the rear of the unit (under a cover). You can get newer Huawei 4G routers on Amazon for around £150. Three were already offering a capped SIM with the B310. This appears to be the B311 which should still have both an internal aerial and a single external LTE antenna port (SMA) under the back cover. Some are supplied with a short external aerial but those in poor indoor reception areas need to factor in a fitted external aerial. The one thing Three aren’t is expensive. They are way cheaper than Vodafone, EE or O2. Sorry to hear about your credit issues. Prepay may be an option. For a tiny saving on price seems very short sighted. Take the LAN port into a switch, and from the switch into as many wifi access points as you like. Something like Netgear GS110TP which will power up to 8 PoE devices. Yeah I know it can be worked around but why make ppl have to. They probably know most people will use wifi rather than ethernet, so using 2.4GHz only imposes a convenient speed cap of 20-30Mbps. Also having the router Cat4 means it won’t be able to use 4G+/CA limiting it to one band, most likely 800Mhz indoors. Three already offer an unlimited data sim for £20 and Homefi for £22 (+VAT). Therefore for the 24 month contract the router will cost £66 and will be locked (like EE units). However B310s (Cat 4) are available for £80 and the later B315 (Cat 4) are available for £120 and would allow for more freedom on cost and if poor provider reception is experienced. In two years time 5G routers will have come down in price but unlikely to this cost level due to speed (Cat 19). In the meantime the 4G mobile broadband competition to fixed broadband is most welcome as it will ensure entry level fixed broadband prices don’t rise too high or get withdrawn. I don’t believe the router will be locked. I used a HomeFi for a year, and they documented the fact that it was unlocked. I have now swapped to a AYCE phone plan with a MikroTik SXT LTE Kit – the result is much better than the available ADSL2+, although the latency and speed is somewhat variable. Hopefully Three will upgrade the local backhaul soon – at least there’s much more chance of that happening than any other broadband improvements. Both B310 and B315 only support 2.4 WIFI. The B310 & 311 only has one Ethernet port. The B515 has four. Use of a Switch/Router or Mesh system probably better for Network/WIFI anyway. For the European market you need the B310s-22 or B315s-22. For dual band WIFI and better investment there is the Huawei B525 (Cat6) at around £130. Existing ISP router or Mesh system probably better for WIFI anyway. Sorry should have said “may be” locked. Where abouts are you located and is it in the middle of nowhere? Street/other people around? Had this router for about 6 months now! But pay 32.00 for 100gb!! But the router is not as fast or reliable as my 3 data plan on my phone! So my router is switched off and in a cupboard! As has an earlier poster here, I have been using the 3 24 month 100Gb 4G monthly plan since it came out in 2017 (18 months?) in a 1Mb ADSL rural area. That plan, oddly, has come and gone occasionally since then for those who missed it in 2017. Now we have this new, better ‘unlimited’ offer – and it IS better, fantastic in fact in a rural location. I use an external MiMo arial. I first used the free 3 branded Huawei B315S-22 4G Mobile Modem/Router in the bundle to feed my UniFi network (UniFi software Controller and hardware router and UniFi a/c points ) all paired with Synology NAS running a variety of server stuff (CCTV, Media, Backup local and cloud, house internet and that unlimited Netflix offer). Since installation,substituted 3 modem/router with Netgear 4G/LTE Modem (110 I think….) for the 3 branded 4g modem/router is as to physically remove it’s router function which can’t be disabled in software and which led to some occasional routing conflicts between UniFi and 3 box’s efforts to perform same task. Fantastic compared to ADSL 1Mb and about same monthly cost. If FTTH arrives, I’ll take that and also keep my 4G system as a backup internet (failover). I won’t need much data to tide me over a problem with FTTH. I’d change to a cheap plan on the SIM with whichever provider. But, until then, the hardware investment required to make this new 3 4G ‘unlimeted’ offer is, definitely, a no-brained. I usually get 70mbps down and 40mbps up with Three at friend’s house in London. Walking 10-15 metres away in radius at any given direction, causes the speeds to drop to 13mbps down and 4mbps up. Range seems to be the issue in this case. It would be great if someone would compile a list of coordinates with such speeds. If Three get this right, they can capture the market for all the areas that don’t yet have fast broadband, and effectively kill off expansion by many of the altnets. Although their margin will probably be small they will effectively have a monopoly. By capturing the market now, they will have a ready customer base to sell 5G to when it comes. @AnotherTim: It’s not going to kill off the market for altnet FTTP, simply because in many rural areas there is very poor or non-existent 3G/4G signal coverage. My dad was working as a hospital doctor in many parts of the country such as Poole, Grimsby, Gloucestershire, etc and had difficulty catching signal to call us for a chat. He had to sometimes leave his hospital residential block and walk somewhere far to catch minimum signal and it will cut-off from time to time due to lack of signal. If the mobile coverage is poor, then this service is not going to work for all. People are going to have constant drop-outs. Chances are people who have good mobile coverage tend to be in the town and urban areas where ADSL is usually better. Altnets will still expand because wireless is simply not good enough! This is why providers like Gigaclear are so confident in exploiting their rural customers for £75 per month for the 1gb service, because they know rural people are helpless and have no choice. If wireless broadband was good we will all get rid of our telephone lines. There is a London wireless provider Relish that also offers £22 per month but on a 12 month contract. It has a lot of negative reviews (virtually all of them). Check the reviews on the bad stuff: “Less reliable than fixed-line broadband, Latency (lag) may be high.” Three will get very bad reviews, it will be even worse than Relish since Relish offer their service in only London and Swindon and that gets so much negativity, what about in rural areas. But in many areas the 3G/4G is now better than the fixed line ADSL – particularly with an external antenna. In my area we got 4G 18 months ago, and since then there has been another step change in coverage, while there has been no change at all in fixed line broadband. While we are “in plan” for superfast broadband (and have been for over 5 years) there has been no progress, and there are currently no schedules for work to start. Meanwhile Three (and EE) offer an almost good-enough solution. It will take much less investment (and time) to improve 4G further than to roll out FTTP. And don’t suggest that Gigaclear are a solution – they have had the BDUK in my area for over 2 years and have not managed to connect a single property yet, and still have no schedule for when work might actually start. Oh, and if you happen to have a business it isn’t £75pm for a 0.9Gbps connection, it is £573pm! BTW I used to live in Cleethorpes, and now live in Gloucestershire (via a few other places), so I’m familiar with mobile not-spots. This is home mobile data. As these offerings mature they will impact all fixed broadband markets where data use is moderate and the cost of minimum broadband is continuing to increase. Ultrafast/FTTP will hype up prices for many and ADSL may be withdrawn in some Superfast+ postcodes. So it is not just applicable to rural although many may benefit. However if people really want the performance they need that external aerial. Mobile Broadband is ideal for those with mobile lifestyles, more than one home, motorhomes or the more elderly as they can take it with them. It can also be cheaper by pairing SIMs to share data with your phone SIM. This offer is a data only SIM. Some router models even facilitate analogue phones for calling if the SIM includes calls (most only support VoIP phones). Something I am testing now. @Rahul Point taken….. But, this is to replace ADSL Broadband. So, using a proper external ariel which is raised and “pointed” at the nearest 4G mast will give vastly improved connectivity over a handset whose direction and pickup is prioritised to holding it to your ear at ground level in any given area. Best to compare apples with apples etc.. When 5G is available my FTTC is getting cancelled. OK let me make one thing clear about threes unlimited data! They do not slow you down and if you mange to use 2TB they will contact you or monitor your usage but still won’t slow it down! I had 4G+ the other day and was getting over 100MBPS and 30 up, no the home fi is 4G only but keep in mind three are clever unlike EE who have invested millions and millions into 4G been banging on how good they are for years and in the next 2/3 years three will have the biggest and fastest 5G network in the UK. See you later EE! The 1000GB FUP seems to be a similar to the FUP Be internet used, as a last resort in extenuating circumstances rather than a hard cap. last month i used 3.8tb, i didnt get slowed down and no one contacted me so i would assume that the soft cap isnt monitored, who knows why its there. @Alison, there is a fair use policy of 1000gb, good luck trying to get anywhere with your complaint. Just out of interest, how does a residential user get that high? It is equivalent to about 12 hours a day of 4K streaming, every day! I would have every sympathy with an ISP who challenged that as “fair use” of a mobile connection. If we all did that, the system would collapse overnight! To be fair when I asked if i could use as much as that, the answer was, ‘we dont impose any limits, you really can use as much as you like’. I’m not sure why someone would go poking around the three website looking for evidence to the contrary. Why people feel sorry for the ISPs when customers use unlmited data without limits I will never understand. Netflix and youtube get delivered at 4k resolution. Its trivial to rack up that kind of usage because i literally dont care how much data its using. I think you mistake them feeling sorry for the isp. I feel sorry for those who finally have an option at a faster service but cannot enjoy that faster service because of abusers like yourself. I bet you’re the type of person to go to an all you can eat buffet, fill your plate to head height, eat the top layer and say you’ve had enough after a few bites. You can technically do that but it doesn’t make it right. ah back to the old all you can eat buffet. i don’t frequent all you can eat buffets. I’d rather had a set course dinner. calling me an abuser. Well it was offered to me as unlimited so you argument is a bit pathetic aint it? You are an abuser. You think of yourself and only yourself. Not others using the network. And the whole “buffet” thing is a perfect analogy for what you’re currently doing. Though, i don’t know why i’m bothering. You will continue to do what you’re doing. Can’t wait to see your name pop up in future articles moaning why Three stopped that specific tariff. I used over 2.5tb last month that no issue do I care about three answer is NO they are a rich company they will handle any harrdcorre neetworrk users with ease. these comments you are making are just ridiculous. wait for it guys, his answer is going to be priceless. Kaptainkandikat, Leave them alone your heavy usage only effects your local area mast they re probably three shareholders worrying about you leeching the pennies. Do you guys have any clue how this stuff works? Have you ever heard of a core network? This has nothing to do with local masts. If more and more people start doing what you both do then it will saturate Three’s entire core network, slowing everyone else down so everyone can get a fair piece of the bandwidth. That’s it for me. Arguing with a pair of children. See only your side and not the others. Would make good politicians. Who cares if Three uk cannot handle this type of usage they will need to stop selling UNLIMITED plans in the future and cap it back to 100gb. To Adam,To be honest Kaptainkandikat is only using the service SOLD AS unlimited hotspot/unlimited data use a much data as you want. I think I hit over 8tb since last September 2018 the reason is. I power my whole work office with one three AYCE sim £10 deal bargain deal saving me over £70 for a virgin business connection fibre or Bt business thanks three hope this deal last till 2020.
finally some people see sense. i really dont care about threes core network, if you do, you must have no life. Now if you’ll excuse me, i have jack Ryan on amazon to watch (in 4k) I would surmise i will consuner about 20gigs an episode. I really don’t care about threes core network, (didnt they recently virtaulise their core network) and increased the number of their data centres from 3 to 20 anyway? most people don’t care how mobile networks operate either. James telling people they dont understand how this stuff works??? mate nobody cares. Now if you’ll excuse me, I have jack Ryan on amazon to watch (in 4k) I would surmise i will consume about 20gigs an episode. I havent asked james if this ok and and surprisingly, I didnt ask my neighbours either. Three offer me unlimited data and I couldnt care less how much data I chomp through. Kaptainkandikat, I have to agree one 4k netflix movie can use around 20gb easily two movies daily your already over 1TB mark without trying. People these days get so mad for using the network resourse end of the day. I don’t care they are all greedy rich corporation companies. I currently pay about £60 for EE’s equivalent at 200Gb per month. After years of awful fixed line experience it has been transformative and provided a stable connection considerably faster than I was previously getting. Any thoughts on whether it is worth moving to 3 for this deal or whether EE will be forced to cut their prices? The EE offer (still £60 for 200 GB, I just checked) is looking a bit poor now for sure. I have been on both, here EE was slightly faster and slightly more reliable, but Three is a close second, half the price and no more worries about running out of data (we typically use around 175 GB/month so never actually did). I am sure the other operators will want a piece of the pie, as you say the question is when. I would go back to EE if the offer was similar. Guess it depends if this is a short offer or a long term offer. There are NO hotspot limitations. Therefore it is pointless just having a data SIM. Of course paying £22 for the data only SIM means you are just buying the Router. Why not just buy a 4g router and use the AYCE SIM only deal with the price fixed for life!! I will be replacing all my landline bband with the 3 AYCE SIM. I have lots of old routers and 3 dongles and the speeds are faster. If you use a ‘phone’ plan AYCE SIM in a router, yes it will work fine, but you will not be able to get any technical support from Three, that’s the only real difference. Not life – Three can end the deal after the minimum period has passed, just as you can. @Paul. The story above is talking specifically about their dedicated Mobile Broadband data-only HomeFi plans (we also covered the AYCE mobile stuff last year), which are a little different in kit, support and service terms given that Three actually expects you to use them like a home broadband connection and not like a Smartphone tariff (phones users gobble way less data). Until now the max data allowance you could get on these was 100GB and it cost more than £22. So creating a product like this and clearly promoting that they’re happy for you to use it for home broadband style purposes is actually quite a big step for an operator. I use my three phone on unlimited data for £20 a month to do this, via its WiFi hotspot. It’s how I get all my access to WiFi and watch TV, and I cancelled my cable subscription. It works well for the most part, some hiccups while watching TV here and there, and speeds can vary quite a bit at different times of the day, but it’s doable. I really wish that attention was given to rural areas. I don’t see that BT has even bothered to do much at all. Yes some work has been completed & villages connected. 5G-NR is being tested in rural areas right now & the low frequency will certainly be able to cover bigger areas. Over the nxt few years I think FWA – Fixed Wireless Access will become more widely available at a reasonable price. Please explain ‘stranglehold on the technology’. Second these comments. The SIM deal for £20 per month last Black Friday weekend was absurdly competitive – coupled with a 4G router, you can get 50Mbps download and unlimited everything, I’ve been running it for months without a hitch. This is a lifesaver and a game changer if you’re a rural customer who can get a decent 4G signal. BT / OR beware….the 4G/4G+/5G technology is moving so fast and you are so slow to react I genuinely fear that your fixed line broadband business model is going to vapourise in front of your eyes. I would be very worried if I was a shareholder or an employee. I am sure BT are well aware of the potential competition and how it will affect the markets covered by their subsidiaries and their investments in FTTH and 5G. BT will will continue to commercially target both fixed and mobile with both discreet and combined offerings. 4G/5G will offer practical solutions to both rural and city but let us be clear the capacity of the allocated spectrum is finite. We still need a FTTH/M infrastructure. Perhaps offloading OR will benefit BT in the future as the altnets/5G finish off its remains. I agree, remove Openreach stranglehold on the technology would be a useful step. I’ve had the Huawei B310 [their 1st Home-Fi] for almost a year. It’s a great product. I have set it to 4G only so it doesn’t fall back to 3G. It sends out a WiFi signal quiet a distance & also supports data usage from Three’s VoLTE network [800mhz] if there’s no signal from the 4G data network – 1800mhz. [That three are also currently deploying voice over in urban areas] Anywho, Though data speeds over VoLTE / Supervoice network are similar to 3G it’s still great to have the support. Three offers unlimited data on PAYG Sims and Sim Only plans as well. If you get hold of an unlocked 4G router stick the Sim in there and there you go unlimited broadband with a soft cap of 1 terrabyte a month which is plenty works abroad in 71 countries. It has always been the case. No Dramas. I already have that setup for nearly 2 years and works like magic. Occasionally the router drops the signal but I was told that is down to a faulty mast which 3 are addressing. I am so happy with this offering as I personally think that with OpenReach and the joke of a fixed line investment or lack of this solution got to be the way to go. Jan 2019 1.2TB Feb 2019 800GB Great bargain I starting wonder how long will this last for remember the ONE PLAN rofi. Just to confirm the confusion. Its unlimited on the order -it shows as 100GB in the dashboard – you get 119,221 MB of data but it does not reduce thus making it unlimited. I’ve had one delivered today and came across this thread searching the internet because I was worried if it wasn’t truly unlimited. Mine has gone down to 118.621? Hello, guys cancelled my Virgin Broadband this morning paying £48 for only 70mb connection rip off. To be honest virgin media told me today over the phone our data usage been over 2.4tb each month hope this deal serve me for 24 months without any future issues. How are you getting on after switching? I’ve also cut ties with virgin and while the speeds seem stable it does have high latency playing on xbox live which can make for frustrating session online. Just had my bill – 23GB internet 6GB GoBinge lol must try harder! Top tip! If like me you get horrendously slow speed out of the box and return it, make sure you keep the Royal Mail proof of postage. After a month following return I had no DD set up on my bank acc, and assumed all was closed off when I received a call from Three’s collections dept. The return bag they send for the router just has a free post label on it – no tracking number, so the only thing I had as proof was the stamped certificate from the post office (thank god I kept it!). I was told to email this to proof@3mail.co.uk (which bounced back as it should be proofs@3mail.com!) so I have done, and a week later heard nothing back. Anyone want a sweepstake on how long this will last before Three pull it due to their usual habit of massively overselling their network with gack like this? Contract with these guys finishing soon, thankfully. You never know with three UK just enjoy it happy if. I get over 12 months (saving me £400+ virgin media fibre) to be honest this will not last long once 5G launches they will definitely ask you to pay more per a month or pull the unlimited packages completely. Betting man will give this till June/July 2019 before they pull the one plan tactics all over again. I don’t think they will remove it. One Plan was a problem in the days of 3G but not anymore. Mike, Hope your right was on the ONE PLAN in 2015 for 6 months was told to leave or pay more with less data and less hotspot data to be honest my usage that time was only 20gb a month was nothing bad but they still decided to kick me off the plan. This time I going to use it to the fullest they will cut anyone off if your a light/heavy user at the end of day they should spend more money upgrading the core network this time and not penalize customers for using more than fair share. I reckon 6 months – at which point I will leave. I’ve replaced cable with this but I am using it for travel and when my mobile which has a decent allowance gets used up – not going mad like others. Anyone here notice speeds are getting worst in Major cities like Manchester,Liverpool,Glasgow and London. I complained to three uk customer service twice nothing get done or fix they keep on saying try the 3g network instead. To Be honest I’m lucky my area I get around 50mb download and 24mb upload will be cancelling my bt broadband using this sim in my 4g router and signing up to EE 30GB For £16 for my main work phone. They are massively overselling their network with gack like this. I have to agree with this CarlIT this is 3UK major selling point to get as many new customers after a few months down the line they will do a One plan again saying the network capacity running at full peak load due to the amount of heavy users using too much network resource. To be honest only paying £12 for my AYCE deal from three that will cost me around £144 for 12 months for home broadband saving me over 300 pounds a year on bt broadband fibre. In my eyes this will not last to the end of 2019 give or take I probably ask to leave or pay more no one in business can allow unlimited hotspot for £12. 3G was limited to 42Mbps at best per tower, 4G has a lot more upgrade headroom (multiple Gbps per mast) so I don’t think it’s entirely fair to penalize Three for their decision at the time, they are also rolling out 4G+ and 5G is imminent. After 7 years of paying through the nose for a fixed line service that had a max upload of less than 1Mb I have swapped to 4G. I’ve been with three for years on a mobile SIM only contact. When they lifted the tethering cap I went to the ayce data for £23 a month. Bought a Huawei B525 of Amazon for £70 and an external flat panel antenna. On the 800Mhz band I get around 25Mb down and 6Mb up. On the 1800Mhz I get 70Mb down and 40Mb up during the day. Evening it drops off a bit but nothing drastic. I use a piece of software that allows you to control the bands used for up and down and carrier aggregation if you can get it. If I move house I won’t have to wait weeks to get a broadband connection anymore. Thank you Jon for sharing this. It doesn’t seem to let me post URLs so search for lteinspecteur by Gasel. It’s worked – the link is above and you were thanked for it. Thanks, one issue though is that it seems rather hit and miss which Huawei routers will work with it, the stock interface for the B525 doesn’t seem to have frequency selection but the one with the Optus (australian mobile provider) did. There are other similar programs for other models. My B525-23 was unlocked so if you have one from a provider they may have crippled it. New sign up modem came today what the usage unlimited allowance on this my son downloaded 60gb since 11am this morning on his xbox one x games getting great speeds here 50mb. Well this has caused some buzz, it’s good news, and true competition is now entering the broadband market. Hopefully this will inspire more as well. However, not for me just yet, 24 month contract is way too long, but certainly something to watch out for! I wondered if anyone could offer me some technical advise on the Huawei B311 wireless router that I have been sent by Three after signing up to the new HomeFi deal. I would like to install an external roof mounted antenna for the router to ensure I get the best possible speed available but having looked at the back of the router it appears there is only 1 x SMA external antenna port present and most of the systems available seem to require 2 x ports for the cables to connect to. Could anyone advise if these will still work with only 1 x cable connected and if not what the alternatives are for outside 4g antennas in the UK market? Also some help on directional vs omni would be great because I live in a rural area and can see the mast but there are a few large oak trees in the line of sight so I wondered if that would prevent the directional option if I cannot get a clear line of sight without any obstructions present. – Three homefi !00GB then you’ll be subject to traffic sense, speed is far inferior 15mbps initially before dropping to 2.5mbps download. With my air Internet router get 40mbps download easy. – Three Huawei B311 is not portable, can’t take in the car! What router do airinternet.co.uk provide? Do you know what 4G network they are using for their “unlimited” 4G? Tim, did you miss the “using the three network” bit? How much data have you guys used so far on your plan? Took my sim deal out this Monday already used over 233gb all Binge 4K netflix. Hello. 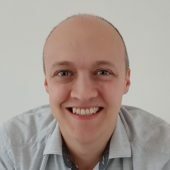 Did you noticed any stream resolution / quality limitations by using Netflix? Last month I downloaded nonstop 3.5tb 2212gb on netflix binge I powered my student apartment with one £20 deal amazing. Hello. Do somebody using mobile sim (unlimited: data, calls, sms) for 20£ a month for 1 year contract in one of the huaweis or othet routers? Do you get the same 1000gb soft cap? Any limitations? I’m ising Netflix a lot and worry that GoBing may limit video stream resolution. For me 2 years contract is too much and i do not need another router, i got my own huawei b310s. 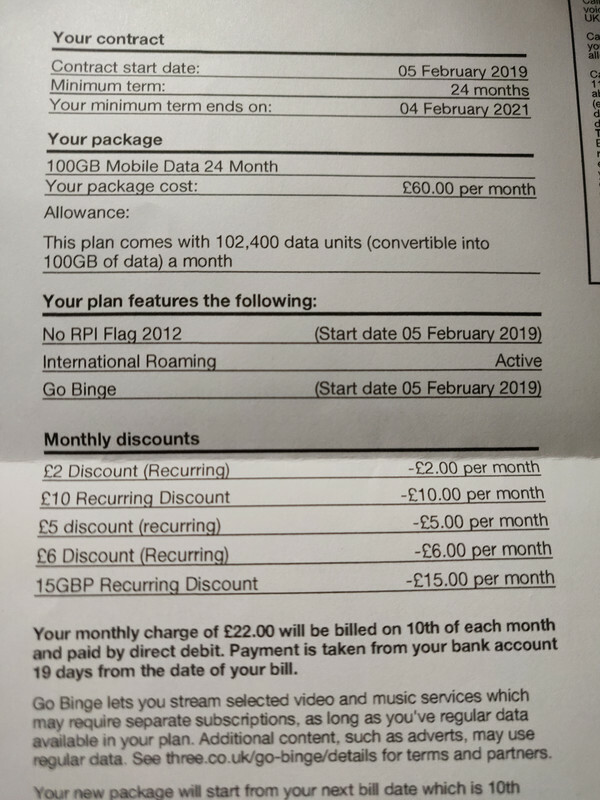 Short: does it worth this plan 22£ + router (two years contract) instead of mobile sim 20£ (one year contract) ? Netflix seems to be included in GoBinge even when streaming 4K – but why would GoBinge limit your quality anyway? If it’s not included it would come out of your allowance anyway.. I have the £22 deal and I think it’s great. Use the 20 pounds sim deal downlaoded over 3.tb last month no word from three. For anyone who is interested – this is what my bill actually looks like with the breakdown. withdrawn restrictions on the use of handset SIMs in dongles and mifis. allow customers on Essential Plans to tether on their current plan, or to migrate to the nearest equivalent Advanced Plan available at that time. My question is therefore there should be zero differences with a £20 all inclusive data in your router versus there homefi product? I had read that the homefi offered more frequencies but I don’t understand how it could be any different, any thoughts ? I got my unlimited mobile wifi from Three when I called them about the 100GB on my account they said its a new product no need to be worried going over 100GB as its unlimited they told me. I used the 4G wifi speeds are better then my current fibre broadband it will depend to find the sweet spot in your home for the best speeds. On my account 100GB have gone down and stuck at 119,221. Its same as mifi is same as homefi. I see people are opting for homefi cause it supports 32 device connected at one time as mifi is only 10 devices. Mifi advantages is can use it portable i just keep it plug in using it as an router. I have checked its truly unlimited as someone has mentioned here mine is stuck at 119,221 this means it is truly unlimited. For my situation in my location this is the perfect solution. In a semi-rural relatively sparsley populated area at the end of a long (2 mile plus) copper cable run from BT Cabinet. On the other hand we do have direct line of sight to Three’s cell tower so being in semi-rural sparsley populated area is a blessing for once as it reduces the likely contention on the cell tower. Had tested using 4G before and new it was vastly superior service to our wired broadband but was always put off by high cost and data limits. So when this came up it was a no brainer. Gone from despair (2mbps down 0.3 mbps up on a good day) to joy (100mbps down 30mbps up). Ditched the landline, can’t forsee a circumstance which will improve wired broadband where we are enough for us to ever use it again. I am guessing we will be wireless from here on in, we now have a great broadband service (finally joined the 21st century) and we can see an upgrade path where it will get better and better, while with the wired service it has not changed since the 1990s and there was/is no sign of any path to it improving. Just to be clear the speeds I am getting above are not with the out of the box supplied equipment, I have upgraded to a higher spec router (Netgear Nighthawk M1 Mobile Router) and installed an external directional antenna (Poynting 9dB 3G/4G Cross-Polarised Panel Antenna). With a bit of tweeking I am now getting 100mbps down and 40mbps up. What aerial is best for the HomeFi and where can I get one. Are they aerials that you fit in your roof space or are they small aerials intended to sit by the side of the router like a miniature external TV aerial? Hello I am interested but got a few questions for users who have the unlimited option is there a daily cap after you use the cap does it slows you down? Does it work well with sky+HD box? Does the binge option include Netflix and now TV? Thanks to everybody contributing to this post, comments here have been more helpful than the confusing Three website! I got the Three HomeFi ‘unlimited’ deal (£22 p/m, 24-month), it arrived on 8 March and I have just been using with a laptop and sharing signal with flatmate. Based in North London and so far download speed has been pretty low (averaging 2-6 mbps through the day) however speed test results have varied and I have seen enough occasional ‘spikes’ up to 30-40 mbps to give me confidence that the signal can be boosted by experimenting with location and/or antennas. Having said that, all the bars on the router are always full so according to that I’ve been getting an excellent signal from day one! I’m finding that the 4G network is slow and alot of the time I am getting better speeds from switching the router to 3G only! Also, speed tests on the 4G network have often shown upload speeds 5x higher than download speeds, so something to investigate. I have found it useful to experiment with changing the channels via the router as well, but it’s hardly ideal to keep logging in and adjusting the settings. All in all, it’s still much better than the EE 4G sim I’ve been using in a dongle for the past few months – £30 p/m payg for 16GB data (and slower speeds)! I have managed to download more than 100GB of data over the past week and the sky hasn’t fallen on me yet but my current monthly allowance period only technically started three days ago, so I can’t be sure if I have successfully exceeded the monthly limit yet. Regarding the online My3 account, I haven’t yet received an SMS from Three, confirming my account password. When I go to the My3 homepage ( https://www.three.co.uk/New_My3/My3_Home ) it automatically recognises me and the router and I can access most of my account info, however as I do not have password I cannot adjust security settings. When I try to register myself I get an error message so will have to call Three to get this sorted AND to check once and for all whether the deal is truly unlimited with no caps or charges for additional data used! If so, I’ll have peace of mind and I’ll be happy to stick with this deal for the next two years. right here something i am wondering my router is getting 3 bars but i am looking into getting a 4G external antenna one you place on a window or on the inside of a window seal will it in-cress the download and upload BUT also will it reduce the ping? HAS ANY ONE Tried The Huawei AI Cube was wondering what sort of speeds you guys where getting. I had to ditch my Three 4g unlimited B311 router, speed was so slow due to congestion and I suspect they are throttling the speed as well, 1-6 download speed is a complete joke and it was not an improvement of the previous 11mb which I was getting on ADSL2. I manage to cancel my contract with Three early and I have now switched to EE4G home broadband, average speed around 80-90 most of the time, sometimes 100 +, yes it is expensive and it has a cap of 300g but for me it is worth it. As I am an ex-military person, EE offered me 20 percent discount of the normal price as well. Can I run VOIP on this router? I took this offer and found it was limited to 100GB – my data soon ran out and I couldn’t access any websites except for a warning saying I’ve used up my allowance and should buy a top-up. 3 customer service weren’t any good, except to tell me I’d also incurred £75 in extra charges before a spending cap kicked in, and excuses that it is only ‘go binge’ services that are limited. Very disappointing, as it worked pretty well for that short while – but I found the way it’s marketed and described though is very misleading.